Wishing everyone a very Happy Ganesh Chaturthi.. Hope this year lord Ganesha fulfills all our wishes and bless us all with good health and lots of wealth.. 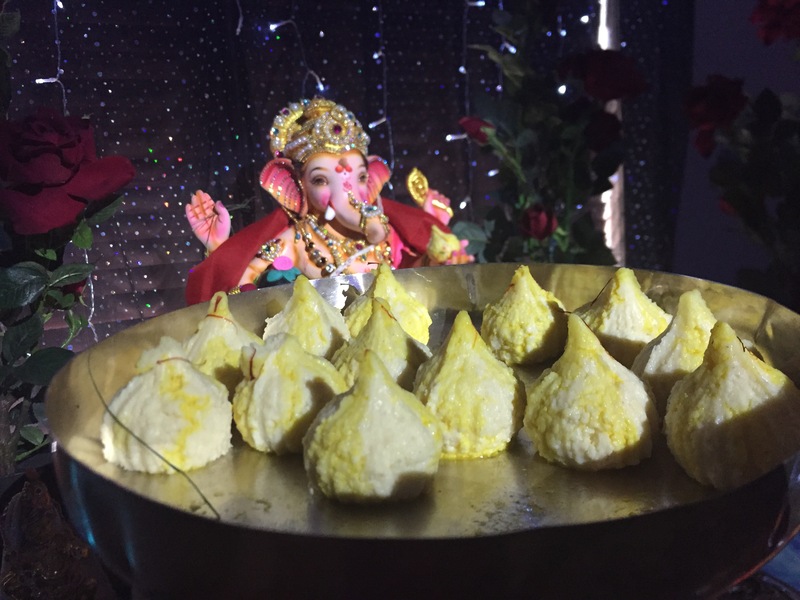 This is the most awaited festival in our house, we always celebrate this with loads of devotion and enthusiasm..
Every year in our Melbourne home we welcome Bappa for one and half day and make sure to put our best effort to create something different in terms of decoration and prasad.. 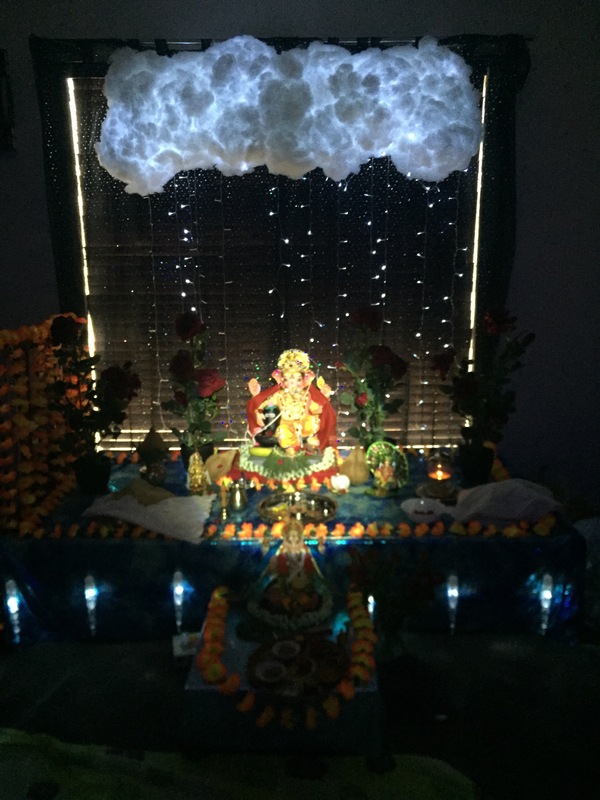 This year we decided to go for Thunderstorm theme, the weather here is Melbourne was our inspiration..